Many pregnant women worry about their baby having a birth defect. Certain spinal defects are among the most common types of birth defects, making it important to understand how they may be prevented and what kind of treatment is available. A birth defect is a problem that occurs during the fetal development while it is inside the mother's womb. The majority of birth defects occur during the first three months of development with approximately one out of every 33 infants having some type of birth defect, according to the National Institutes of Health. Birth defects can involve either the structure or functioning of the body or the metabolism of cells in the body. Some of the more common birth defects involve the spine. With spinal cord defects, the spinal cord of the fetus does not develop properly. These babies may have different health conditions like incontinence, loss of sensation, and paralysis depending on the severity of the defect. Occulta: This form is the mildest form of the condition. The baby usually does not have any symptoms because the spine and nerves are intact and functional. There may be a small dimple or spot marking the area that did not close completely. Meningocele: This is a rare form where a fluid-filled cyst pokes out through the back. Tissues from around the spinal cord may be present in the cyst but the cord itself is usually not included. Removal of the cyst may allow the spine to develop normally. Myelomeningocele: This is a more severe problem. A cyst is present containing both tissues and part of the spinal cord. In a variant of this type, the spine itself may be fully exposed without a cyst being present. These babies are at risk for infection until the defect is closed. Occult spinal dysraphism is another kind of spinal birth defect. In this condition, your baby may be born with abnormalities that you can see on the back. Examples include small tumors, tufts of hair, and small openings. The spine may be connected to the surface of the skin, which increases the risk of bacterial infection and meningitis. As the child grows, the nerves of the spinal cord may become damaged. The exact cause for most birth defects is not known but genetic factors and environmental issues may play a role. Neural tube defects like spina bifida are associated with a deficiency of folic acid. Pregnant women are instructed to take at least 400 mcg of folic acid each day during their pregnancy. Women who are trying to conceive should start the folic acid early. Spinal cord birth defects can often be detected before delivery. At around 16 weeks, you may have a blood test called a quad screening test that measures the levels of four substances that might indicate an NTD. If this test is suggestive, the health care professional may recommend further testing like an ultrasound or an amniocentesis. The detailed ultrasound will allow the doctor to evaluate the NTD and the seriousness of the condition. An amniocentesis can allow the doctor to measure the amount of alpha-fetoprotein in the amniotic fluid, which is also indicative of a NTD. The treatment options for infants with spinal cord defects depend on the type of defect and the severity. These babies should be delivered in medical centers that can offer surgical intervention shortly after birth if needed. You and your doctor will need to discuss the best method of delivery for you and your baby, which, in some cases, may be via a planned C-section. Meningocele and myelomeningoceles generally require a surgical repair with myelomeningocele being treated within 48 hours of birth. During this operation, the surgeon tucks the contents of the cyst back into the spinal canal and covers the defect with skin and muscle tissue. There is usually already some nerve damage, but rapid surgery may prevent further damage. After the surgery, the parents will work with a physical therapist to learn how to stretch and exercise the muscles to prepare the infant for walking in the future. Some surgeons may suggest prenatal surgery while the infant is in the womb to give the spine a better chance to develop as normally as possible. 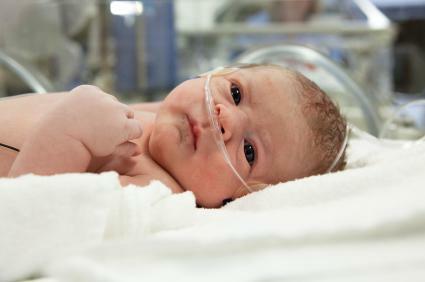 This type of surgery may increase the risk of prematurity, which carries separate risks; some physicians may not feel that the early surgery is worth the additional risk. While birth defects of the spine can be devastating, proper management and resources can help your child lead a fulfilling life.